Whatever steps you have taken to date, now is the perfect time for a CASL compliance check. Starting on July 1st, 2017, an individual or organization may litigate if there has been a violation. 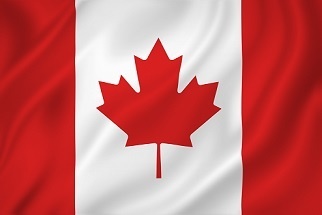 Canada’s Anti-Spam Legislation, known as CASL, is one of the strictest in the world. Basically, it requires obtaining consent before sending a “commercial electronic message” and it also requires that an email meet specific requirements. It is applicable to people who send emails within or into Canada - including your sales reps and marketing departments. Have you reviewed the types of electronic messages that your organization sends out and evaluated which ones are subject to CASL? Are you using terminology that complies with CASL requirements for express consent requests? Can your company track and document all forms of consents so that you stop sending CEMs when an implied consent expires? Remember, the burden of proof is on you! Do your sales reps and marketing departments use an unsubscribe mechanism within every email that meets CASL requirements? Have you implemented policies for company-wide compliance with CASL and trained your employees? For additional information, fightspam is a great place to start. If you need help getting your consents, please feel free to reach out to me at TSL Marketing. My contact information is mkavanagh@tslmarketing.com at 514.312.5373.